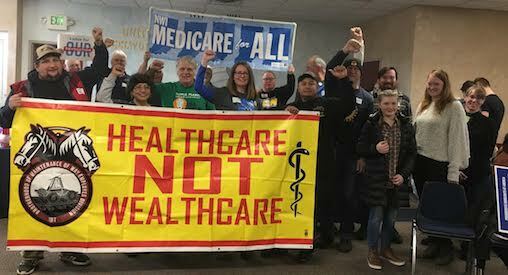 The NNU informed us that it was due to our barnstorm but I ALSO feel that it helped that many of our members had asked him about his support for M4A directly at his town hall meetings in January and had called and left messages at his office between January and February regarding Rep. Pramila Jayapal's bill. Members of the group are just starting to hold actions following the barnstorm. The first phone bank happened last night and there is another planned for next week calling Rep. Nancy Pelosi's constituents. There will be crowd canvasses and door-to-door canvasses planned for the coming weeks and months with the help of NNU. 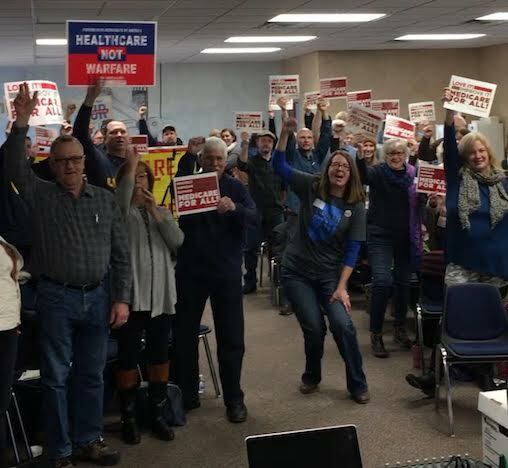 Here's to good grassroots organizing for all of our communities in ALL 50 states.